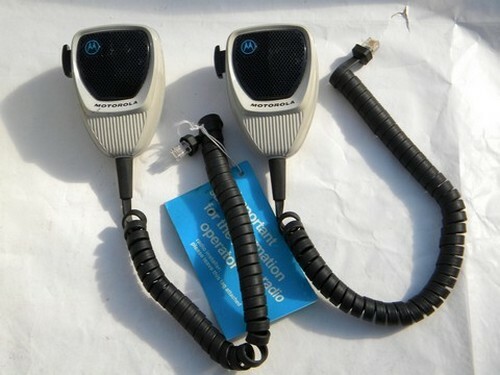 Pair of vintage Motorola short wave or citizen-band radio microphone handsets. 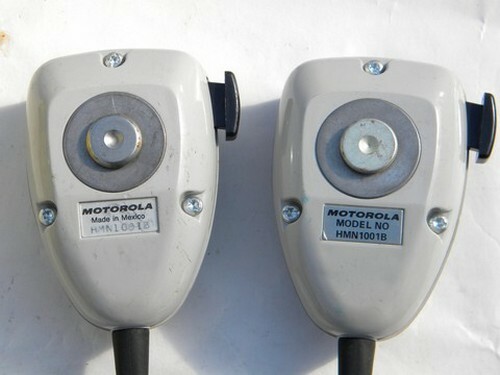 These palm style microphones are both marked on the backs as model "HMN1001B". 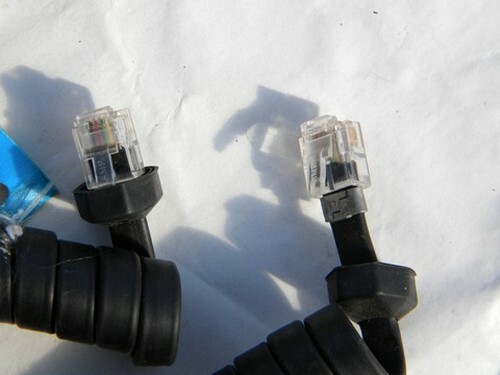 They have 6-pin conductor RJ-11 phone jack style connectors. 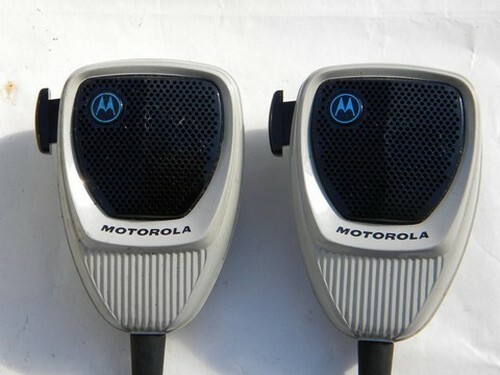 The mic cords are about 21 inches long (unextended) and is still one of the original hang tags. They do have some wear and we haven&apos;t tested them.